Someone driving through the neighborhoods of Park City in 2014 would have quickly come across a construction site. Another person, this one strolling Main Street, would have passed one as well. The construction industry in 2014 posted an extraordinary year, as measured by dollar value, the Park City Building Department reported. 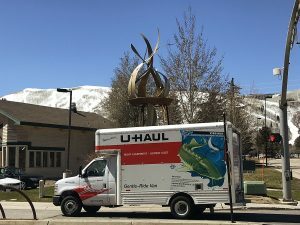 It ended as one of the top years in Park City’s history. The Building Department recently released a year-end report for 2014 showing the department issued approximately $144.9 million worth of permits in the year. The figure soared above the just less than $75.5 million the industry posted in 2013. 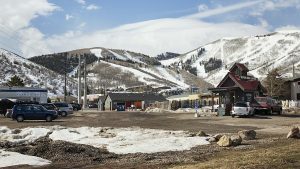 It was the first nine-figure year since the $148.7 million recorded in 2008, just before the effects of the recession began to hit construction in Park City. The market value of the construction is upward of three to four times the value of the permits, or perhaps between $435 million and $580 million, according to the Building Department. "Never did I expect this to boom like it did," said Chad Root, the building official at City Hall. Root credited a strong economy for the dramatic increase in the numbers in 2014. 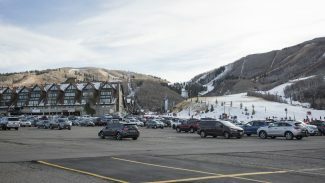 He also said heavy construction started on some developments that had stalled during the recession, such as the Stein Eriksen Residences in Deer Valley. The construction industry in 2014 showed strength across Park City and in the various building segments. Root said permits to build houses were issued citywide in addition to larger construction projects. Permits for alterations and additions were also solid. "This was spread out through the city . . . I think everyone was impacted," Root said. Some of the notable permits issued in 2014 included work at the Park City Film Studios at Quinn’s Junction, the Rio Grande development in Old Town, Stein Eriksen Residences and the redevelopment of the hotel once known as The Yarrow. Root said there was a wave of applications for building permits, including along Main Street, as real estate sales were publicized. The year started strong with a $15 million permit to remodel the building once known as the Main Street Mall and other high-dollar permits followed. The year-end number surprised the construction industry. Joe Rametta, who was the president of the Park City Area Homebuilders Association in 2014, said he expected a $100 million year at the outset. "That’s just unbelievable," Rametta said about the $144.9 million, adding, "We were so slow for so long, it was overwhelming because we were out of shape." Rametta said business at his firm, called Rametta & Co. Inc., was up between 30 and 40 percent from the year before. Rametta & Co. Inc. specializes in renovations of residential properties. Most of his business in 2014 was inside Park City. He noted the strong local economy as he spoke about the numbers. 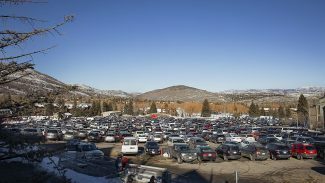 He said the economic conditions in Park City, Summit County and Utah are outperforming other places. Rametta said his firm has work lined up through 2016. He predicts 2015 will be strong, perhaps two or three times busier than 2014. Root, the building official, also said 2015 is expected to be busy. 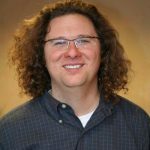 He said the numbers this year could approach those of 2014, noting that work is anticipated at Park City Heights along the S.R. 248 entryway and at Park City Mountain Resort. Root said the Building Department fielded numerous complaints about construction in 2014. It was an "extremely high complaint year," he said. People close to construction sites were worried about noise, worker parking, activity too early in the morning or too late at night and lights kept on at night at construction sites, he said. Root said the Building Department attempts to educate construction crews about those sorts of issues. 1,350 building permits were issued in 2014, up by one from the year before. The 1,350 were the most since at least 2004.
two permits were issued for multifamily projects, totaling 16 units. Both figures matched those in 2013, but the value of the permits in 2014 — approximately $9.2 million — was significantly higher. The unit number and the value were the most since 2009.
two permits were issued for commercial projects. The permits were worth a little less than $14.3 million combined. The dollar figure was the most since 2007. The Park City construction industry in 2014 posted its best year since 2008, as measured by dollar value.